MRO’s Kim Charland, BA, RHIT, CCS, Director, Revenue Cycle Services, discusses the challenges of inefficiencies in the business office and how implementing a centralized PHI disclosure management system improves productivity when responding to claim attachment requests. Saint Luke’s Health System (SLHS) includes 16 hospitals, home care, hospice, behavioral health services, and physician practices across Missouri and Kansas. The health system receives 49,200 Release of Information (ROI) requests annually. As SLHS continues to expand, their HIM management team, led by Sharon Korzdorfer, Health Information Management (HIM) Director, is committed to delivering the highest quality health information services to its patients, who may request information concerning care provided by SLHS. In 2018, Korzdorfer realized that in order to respond to a rise in monthly ROI request volumes compliantly and efficiently, they needed advanced technology and services. After evaluating multiple vendors, SLHS selected MRO to handle Protected Health Information (PHI) disclosure management across the enterprise. Their decision was based on several factors, including MRO’s dedication to clients, patients and other third-party requesters, layers of support from responsive teams of experts, and the ability to leverage technology to improve workflow. MRO’s reputation as a true partner to providers was also a key factor. SLHS implemented MRO’s flagship Release of Information platform, ROI Online®, along with MROeLink®, a bidirectional interface between the ROI solution and the health system’s Epic EHR. The MROeLink tool automates manual steps for working in both an ROI system and the Epic EHR. Eliminating manual processes reduces the time needed to process requests and minimizes human error. SLHS leadership knew a system integration method would be a vital component in improving efficiencies and accuracy. In addition to enhancing the ROI workflow through MROeLink, MRO introduced ways to further improve productivity and service quality, including implementing new processes for responding to the rising tide of payer audits and reviews, such as HEDIS and Medicare Risk Adjustment, by shifting requester relations and correspondence to MRO’s National Service Center. As a result of improved workflows, technology integrations, and moving requester relations to MRO’s service center, SLHS reports reduced requester complaints, reflecting improvements in the patient and requester experience. Through a partnership with MRO, SLHS saw impressive results, including improvements to turnaround times for ambulatory requests, continued high accuracy levels and an improved customer experience for patients and other requesters of PHI. 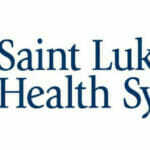 To learn more, download MRO’s Saint Luke’s Health System Case Study by completing the form below. In an interview on uses and disclosures of PHI in sensitive cases, MRO’s Rita Bowen, MA, RHIA, CHPS, CHPC, SSGB, discusses common misconceptions about privacy under HIPAA and shares information that all patients need to know. In an article posted to Healthcare Today, MRO’s Rita Bowen, MA, RHIA, CHPS, CHPC, SSGB, is quoted on her predictions for what HIM professionals should watch for in 2019. In an article published to the Journal of AHIMA, MRO’s Rita Bowen discusses the importance of privacy in PHI disclosure management, the need for an enterprise-wide approach, and the role of HIM professionals as advocates for privacy in their organizations.